WikiMindMap is a tool to easily and efficiently browse Wiki content, inspired by the mindmap technique. Wiki pages in large public wiki's, such as wikipedia, have become rich and complex documents. Thus, it is not allways straight forward to find the information you are really looking for. This tool aims to support users to get a good structured and easy understandable overview of the topic you are looking for. The browser is a modified version of the GNU GPL licenced Flash browser for FreeMind. 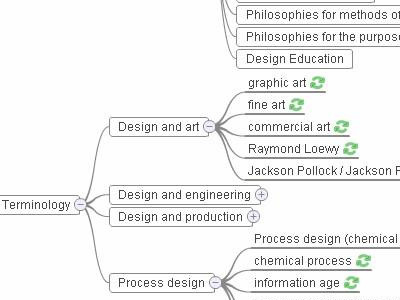 All content of the mindmap is derived from the wiki which was selected and is available under the terms of GNU Free Documentaion Licence.